Welcome To 1300 On The Move, The number one choice for local home services, Whether you need, removalists, Bond Cleaners, Commercial Cleaners, Home Handyman, or Garden Maintenance & Lawn Mowing we have you covered all under one roof. If you’re on the move – chances are you will require one our home services . Just click on the service you require . We’d love to help Removals – Bond Cleaning Carpet Cleaners – Home Handyman – Lawn Mowing – Garden Maintenance 1300-ON-THE-MOVE From humble beginnings in 2007 and paying it forward into 2019 with all of our customers. 1300-ON-THE-MOVE has revolutionised The dedication to customer service beginning with our excellent reputation. 1300-ON-THE-MOVE – Having you as a repeat customers and a word of mouth fan are our largest source of business, so we are always ensuring you receive the very best service. 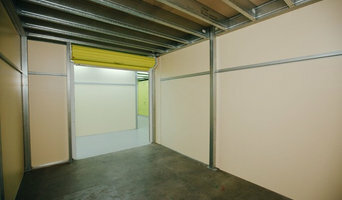 At Organised Self Storage Eagle Farm we are here to help you with your storage needs. We ensure you have a successful, stress-free move and give you peace of mind with the safety of your treasures. Your Local Movers is a full service removalist company, who are able to help you with the pre-planning and packing all the way through to the box pick up after your move. We have been moving homes and businesses throughout not only Brisbane but South East Queensland also for nearly a decade. We are Brisbane’s trusted local removalists! Since we do provide a full service for your move, you can be certain we will make your move easy and fun! We aim to take the sting out of stress and help people enjoy the transition from old to new. Are you Looking for a cheap removalists around Brisbane Queensland? Then choose Dyno Removalists! Removalists Brisbane specialise in local, country/regional and interstate removals! If you’re thinking of moving interstate or more into the country areas, Dyno Removalists are sure to make your move simple and hassle free! Dyno Removalists can accommodate your every need, whether you are moving a single item or your entire house or furniture, whether you are moving locally or long distance Removalists Brisbane can supply you with a free written quote in person by visiting your residence or online via our easy to use quote form found on our website. Our employees knows how to move your dear valuables, and we can do it for less than the large moving companies. With the help of our well qualified, polite and careful staffs we are helping clients to relocate their personal and commercial belongings in a certified and cost effective way. We guarantee that all the goods are completely packed so that there is no chance of break during transportation. The moving is with greatest ease and care and insured and guaranteed as well. Call them now on 1800 958 013 for a free quote or jump on their website for more information. If you are looking for furniture removals in Brisbane, CBD Movers Brisbane is the right choice for you. The company helps you out when you decide to relocate your house. With the professional team, your furniture is handled very carefully and packed in a required manner. CBD Movers Brisbane offer you fast deliveries and careful handling at the affordable prices. Contact Details - For any query, you can call us at 0401257949 or visit our website. Platinum Furniture Removals is the number one choice for movers in Brisbane. If you are looking to have a stress free move we are the only furniture removalists company to consider. We have over 15 years experience and completed well over 5000 local removals around the Brisbane area. Benefits- No Damage Guarantee Fixed price or Hourly Rate Quotes Our Removalists have a minimum of 2 years experience Australian owned and operated Txt and email booking confirmations for peace of mind Courtesy call when 30 min away from job. Recommended by Harcourts and Bowmaker Real-estates. So what are you waiting for? Contact us for a free quote today. We are one of the best home removalists in Brisbane, Western Australia for over ten years now. Also, we provide interstate back loading, reliable and affordable relocations as well as a free quotation. If you are looking for stress-free removal and reliable and fast service, then it is recommended that you get in touch with us. Moreover, we have trained staff, and we provide quite a competitive rate. We are one of the leading removalists in Brisbane, Queensland. Moving your belongings safely from one place to another is our priority. We assure you 100% damage free guarantee while loading and unloading delicate furniture. At the end of the day, a long list of satisfied client list makes us feel contended. 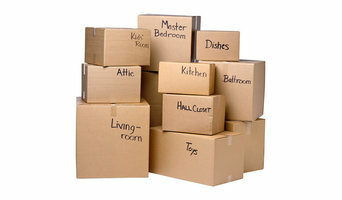 Our movers have excellent knowledge of packing and moving heavy to delicate items. We have been in this industry over a decade and have provided services to many customers with their packing and moving needs. Our experts are specifically trained for removalist service in Brisbane. If you want a safe and smooth moving experience, contact us @ 1300 766 422. For more info, visit our website betterremovalistsbrisbane.com.au. Find companies in Collingwood Park, Queensland that provide storage or moving services on Houzz. Scroll through this page to find a home removalist storage solution in your area. Just enter your suburb at the top of this page to narrow your search. Get contact information or message professionals directly so you can ask about rates, and read customer reviews.